The oversized Sportsstuff' Manta Ray Snow Tube inflatable snow tube delivers a larger-than-life sledding experience on every hill. Grab the handles to control your ride and experiment with a new sledding position ech time down the hill on your Manta Ray, steerable winged tube for one. The oversized Sportsstuff&apos; Manta Ray Snow Tube inflatable snow tube delivers a larger-than-life sledding experience on every hill. 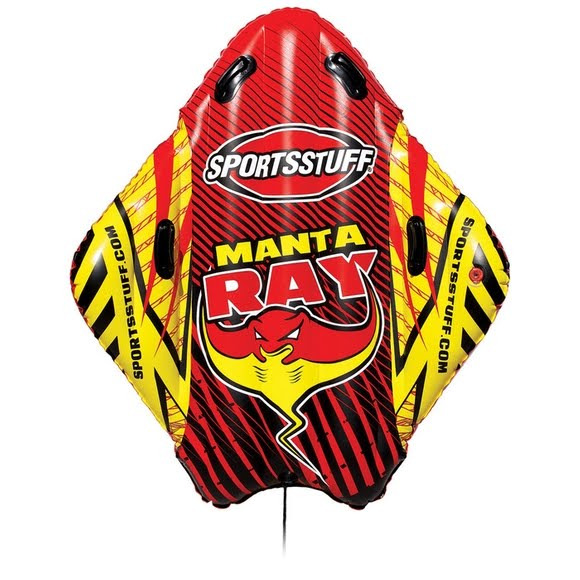 Grab the handles to control your ride and experiment with a new sledding position ech time down the hill on your Manta Ray, steerable winged tube for one.